Chip giant Intel will be reporting quarterly earnings today after markets close for trading in New York. The report is coming amid a moment of high uncertainty for the company. For one thing, there are questions about CEO succession. 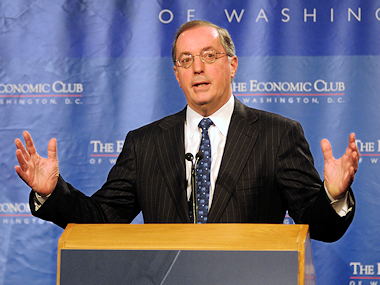 Current CEO Paul Otellini (pictured) surprised everyone in November when he announced plans to retire well before it was expected. All the smart money is being placed on an internal successor being named, though Intel’s board of directors will give at least some consideration to outsiders. Here’s a pretty thorough list. Management issues aside, Intel has a more fundamental question to struggle with: The personal computer industry, to which Intel has long been the primary arms merchant, is contracting. 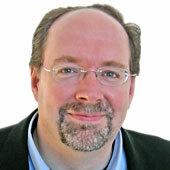 Data from both Gartner and IDC showed a market that shrank in 2012 by more than 3 percent — or about 13 million units. And there’s little sign of that changing. The damage to the PC industry is being wrought by tablets and smartphones, markets where Intel has yet to penetrate with chips of its own in any meaningful way. At the International CES, Intel showed off its Lexington and Bay Trail generations of mobile chips. Impressive as they may be — one attraction is to bring the x86 instruction set that is a fundamental underpinning of mainstream PCs to tablets and phones — the chips won’t be inside any devices on store shelves until late this year. Meanwhile, Intel has one business that is largely safe from a meaningful competitive threat: Servers. Yes, it’s safe for now, but not entirely. Server chips using technology licensed from ARM — the British chip-design firm whose technology is found in most all of those non-Intel mobile devices — are on the way and, if nothing else, looking like an interesting option for the not-so-distant future. The uncertainty has certainly weighed on Intel’s shares, which fell by more than 8 percent in 2012 but have since recovered. The shares were up more than 1 percent today in trading on the Nasdaq to $22.41 by midday in New York. So what does the Street expect today? Per-share earnings of 45 cents on revenue of $13.53 billion. However, there are whispered numbers making the rounds, suggesting that Intel may fall short. That would be rare, as Intel typically beats the Street, even in tough quarters. But then, this isn’t just any tough quarter.